TechXact practitioners offer institutions diverse range of Innovative Alternatives for Data Centers that provide the lowest carbon footprint, seamless scalability, modularity, high density, and optimum physical space requirement, bundled to cater Green and Environment-Friendly Data Centers with highest efficiency and lowest setup, operation and total cost of ownership. World’s latest trends in green building practices from site selection to construction are always taken into account by TechXact green data center specialists, which take into account siting and structure design efficiency, natural landscaping schemes, energy, material and water efficiency measures, waste reduction, operations and maintenance optimization etc. Nowadays carbon footprint has a big impact and concern in every data center operations and design consideration, TechXact helps to optimize utmost savings in carbon and emissions reduction through effective green cooling designs and practices such as efficient indoor methods as well as geothermal/solar cooling, free-cooling, ground-source cooling, liquid-based and hybrid cooling. 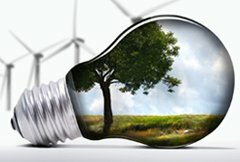 Incorporating Green sources of generating power to using energy saving lighting and selecting all electrical components with lowest carbon footprint, while finding an “optimum” balance between conventional as well as environment friendly materials, is a key differentiator in TechXact’s green power & energy engineering in building efficient, cost-effective and practical Green data centers. TechXact can offer effective virtualization methods from layer zero to layer seven which maydirectly impact reduction in computation processing hardware and physical size per site, and incline in numerical distribution, therefore optimizes the amount of heat generated and electricity consumed, through effectively planned implementation of virtualization schemes, specifically geared for operational efficiency and promotion of global environment protection.